Jimmy Jerkens comes from a family deep in racing history and continues to carry on the tradition set by his legendary father, the Hall of Fame trainer Allen Jerkens. A high-percentage conditioner that fits the Centennial program well, he excels at getting young colts to develop into stakes winners. Since taking out his trainer’s license in 1997, Jerkens’s runners have earned over $43,000,000 while winning at greater than an astounding 20%. He is regarded as one of the top trainers in thoroughbred racing. He conditioned Artie Schiller to win the 2005 Breeders’ Cup Mile (G1), and became the first trainer to win both mile events of racing’s championship weekend when he saddled Corinthian to a victory in the inaugural running of the $1,000,000 Breeders’ Cup Dirt Mile. 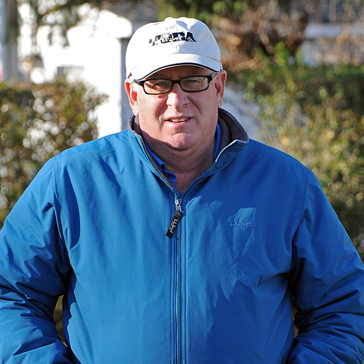 His impressive resume also includes two victories in the prestigious Travers Stakes, Saratoga’s “Mid-Summer Derby.” Jerkens is the main Centennial trainer on the NYRA circuit. He is based year-round in New York, but takes a string of horses to Florida each winter.